US President Donald Trump was yet again a target at an award show and this time it was the 59th annual Grammy Awards when he was referred to as “President Agent Orange“. During a group medley by A Tribe Called Quest, Busta Rhymes and Anderson.Paak, one of the members called out angrily to the US President. Rhymes during the performance, said: “I want to thank President Agent Orange for your unsuccessful attempt at the Muslim ban.” The performance featured women sporting the hijab. A Tribe Called Quest has been nominated twice at the Grammys for best rap album.Hosted by British comedian and actor James Corden, the award show, honouring the best of music around the world, took place at the Staples Centre here on Sunday night. 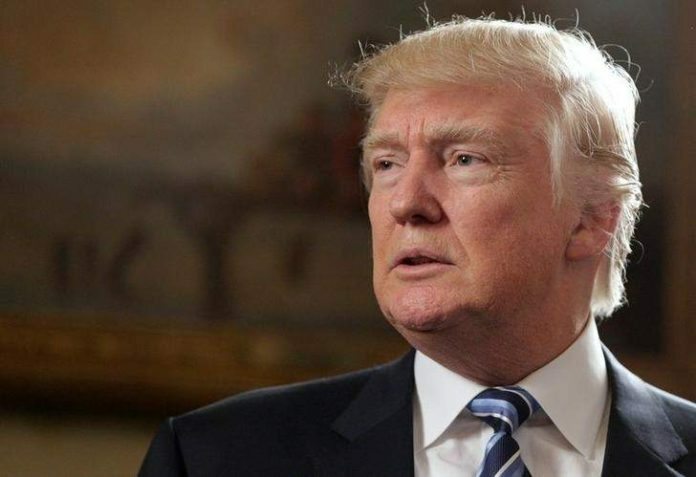 As it is aware that Donald Trump had issued ban on Immigration of seven Islam majority nations and it is also rumored that the list might extend which includes Pakistan.